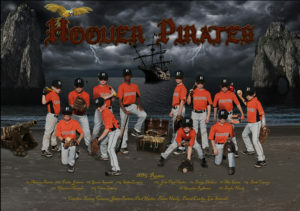 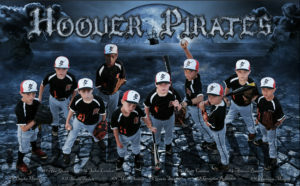 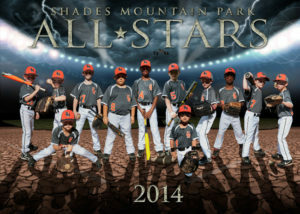 Multiple images were combined to create a magical, imaginary setting for this band of baseball pirates. 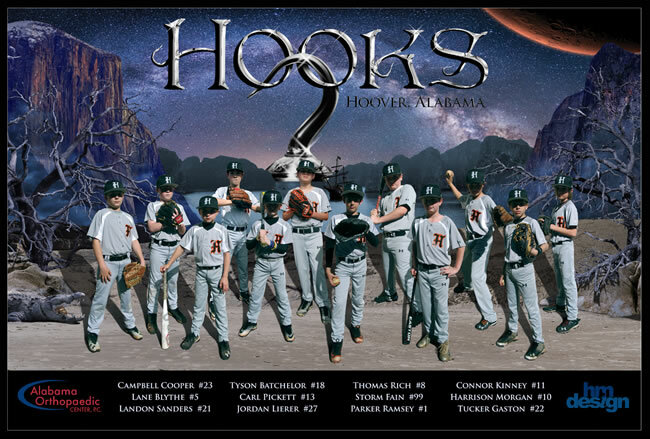 Once again, each player was photographed separately, striking multiple poses, then placed together for the final composition, along with lakes, mountains, beaches, rocks, trees, clouds, a crocodile, Mars and the Milky Way. The image served as a sponsor banner, and printed posters were given to each member of the team as a keepsake.